Going for a FAM trip for me was a lucky escape opportunity from the mundane working hours, sitting in a cubicle and replying to mails and preparing presentations. Moreover, I got my very first opportunity to visit Adlabs Imagica along with my spouse (who is a joint blogger with me) and spend some fun time with her and fellow blogger friends. So on a wonderful Saturday morning, the BEST bus was all set, waiting for us to arrive at Dadar TT. We boarded the bus hands-in-hands and glee on our faces as we waited for a few recognizable faces. Fortunately, there were many known faces from the blogging world and we were set for a two hour journey, chatting and smiling all the way. Time just flew, as we bloggers can easily get the house down and this was just a two hour journey. 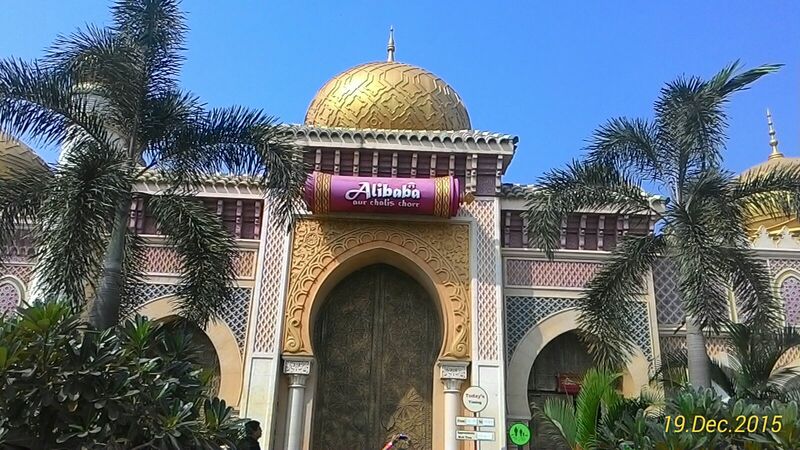 So, here we were standing in front of our destination, Adlabs Imagica. Having entered the world where stories are made, we started by looking out for breakfast options but then upon seeing a fascinating ride, we thought of ditching the breakfast and headed straight to the doors of the ride that seemed ‘scary’, at least for me. I counted my stars, prayed and with lot of encouragement from my spouse, I boarded onto a tumultuous roller-coaster journey amid nervousness and excitement written all over my face. 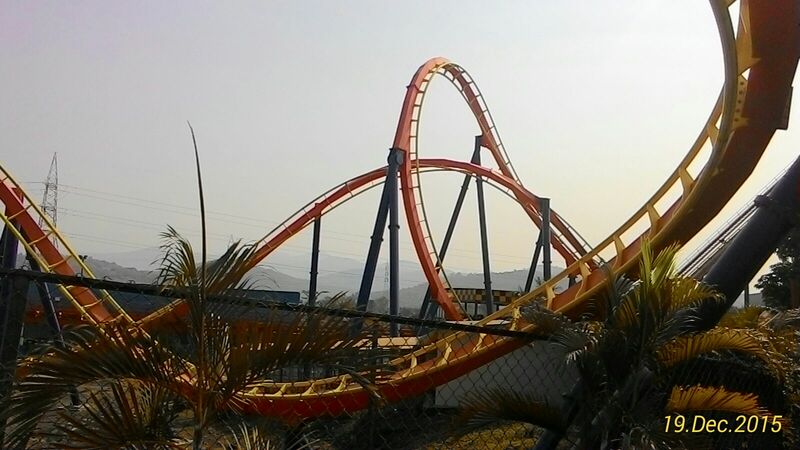 The ride was none other than ‘Nitro‘. 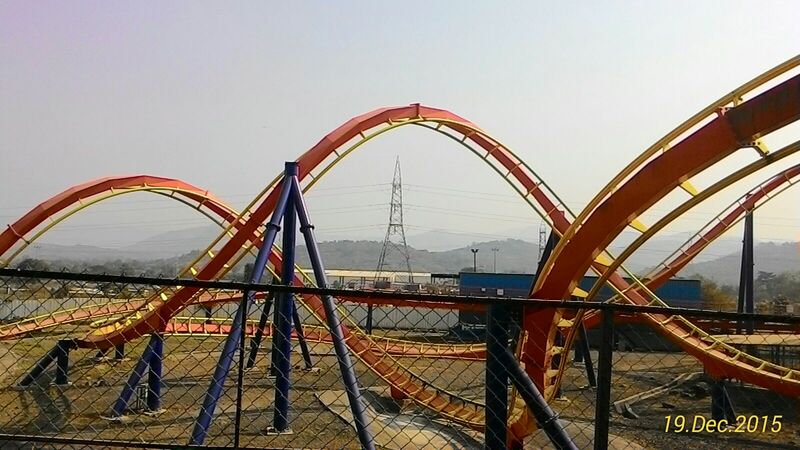 From the above pictures, you can see how the super-fast ride would have been with full of vicious turns, 360 degree circles and what not. 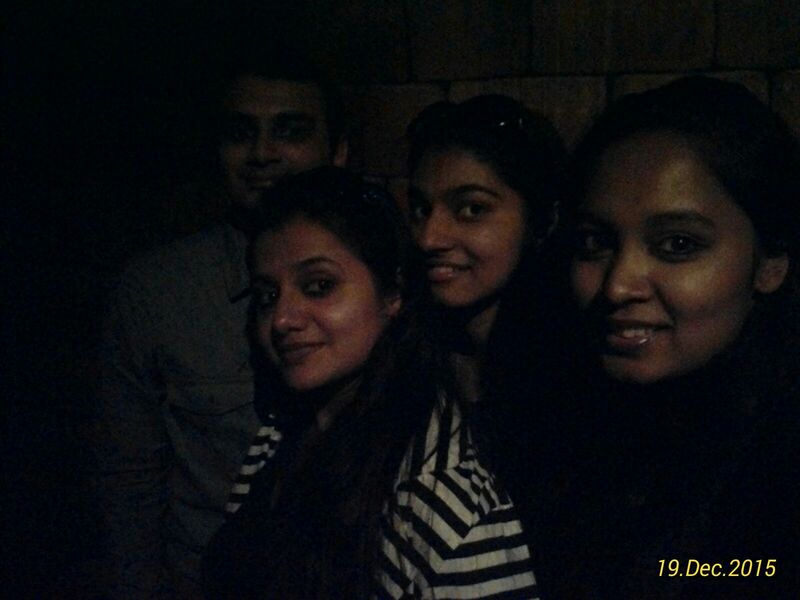 All this while, I had my eyes shut and sealed, but trust me it was the most exhilarating experience I ever had. That couple of minutes, sitting on this ride, enjoying and praying simultaneously was my one of the best moments of this trip. Subsequently, we decided to have a quick bite which turned out to be an hour long. After numerous ‘Two Minutes’ we then headed towards some family rides but on our way we witnessed some fabulous stunts by some young boys. Worth a dekho! 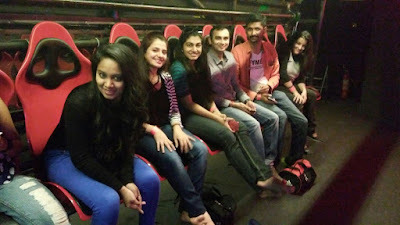 Post which, we were enthralled with some bumpy ride on Mr India‘s iconic car as we were indulged in some animation along with immersive motion simulation technology. In simpler terms, we were made to sit in a car and the movie plays on the screen. So whatever happens to the car in the movie, even we feel and go through the same effect. Post Nitro, it was a relaxed and an easy ride with Mr. India. Then a haunted house was eagerly waiting for us to scare the hell out of us. Salimgarh‘s gloomy corridors and a feel of a hunted fortress made for a thrilling ride. A special mention to the person who at the end of the journey, just while we were about to move out through the exit, came from nowhere and literally scared the hell out of us. After that was the turn to experience what I later termed it as ‘the younger brother of Nitro’, Deep Space. It is quite similar to Nitro but the only difference is that it is indoor and completely dark with stars and moons to accompany you in this one hell of a roller-coaster. It will zip you through the space in no time and leave you with a ‘what the hell just happened’ look, at least it did that to me. Post Deep Space, we thought of exploring the pre-historic times when dinosaurs lived. 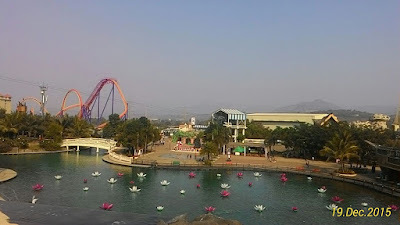 Rajasaurus River Adventure was a welcome and a fun-filled ride after embarking on the space sojourn. It was fine until when we had water splashing across on our body. I was completely drenched in seconds and what followed was laughter and smiling facing from all of us. 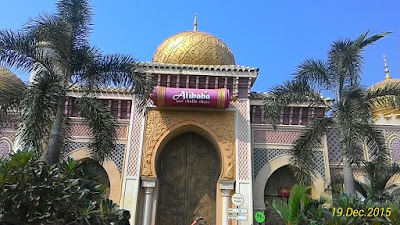 Next, we put on our police gears and went to save Alibaba by nabbing the 40 thieves, not literally though. It was a fun ride where we had to aim and shoot those hiding 40 thieves with laser guns and earn points. A simple and a fun ride. Later, we took a virtual dip into the land of mermaid’s and prince. It was a lovely experience to sleep with eyes open and watch a short movie under the 360 degree dome theater called as Cinema 360 – Price Of The Dark Waters. We took a little break to have our energies re-fueled and took some time for photo-op. After having our energies re-fueled and a nice time taking selfies and photographs, we headed for a comedy show called as The Detective Bow Wow Show. It was funny while it lasted and came as a good reprieve for our aching legs after walking continuously. The time was running out and there were plenty of things to do, but then we witnessed a short road show where there were plenty of performers ranging from kids, to cartoon characters to dancers. It was the time, where there was fun, frolic and laughter and I, for the first time felt happy like a kid upon seeing their performances. It was a super stuff!! There were still few more rides left for adults and we quickly zipped through them through our tired faces. One was I For India and other was Dare 2 Drop. While I for India took us through a journey of our beautiful India through pictures, on the other hand, Dare 2 Drop was another cracker of a ride. Seeing down from such a height was really, really scary. After having our another round of re-fueling ourselves we embarked on our journey back home in the comfortable BEST bus with lots of fun, memories and smiles to take back home. 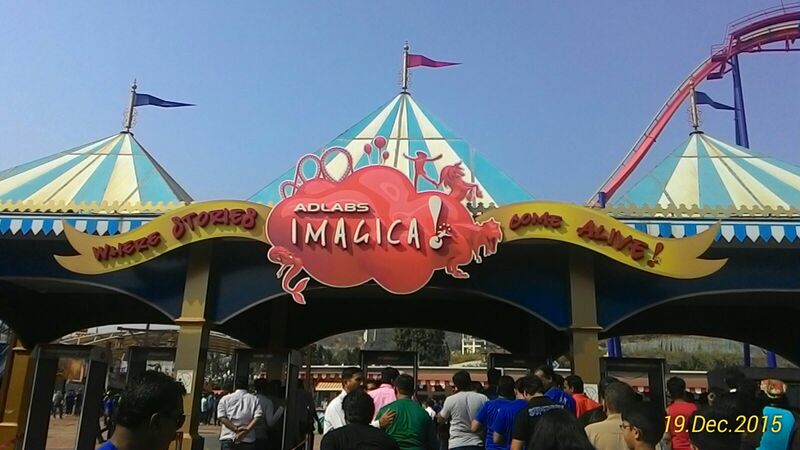 I, no, we recommend Adlabs Imagica for a day to relax, unwind, enjoy and have a bagful of memories to cherish forever! 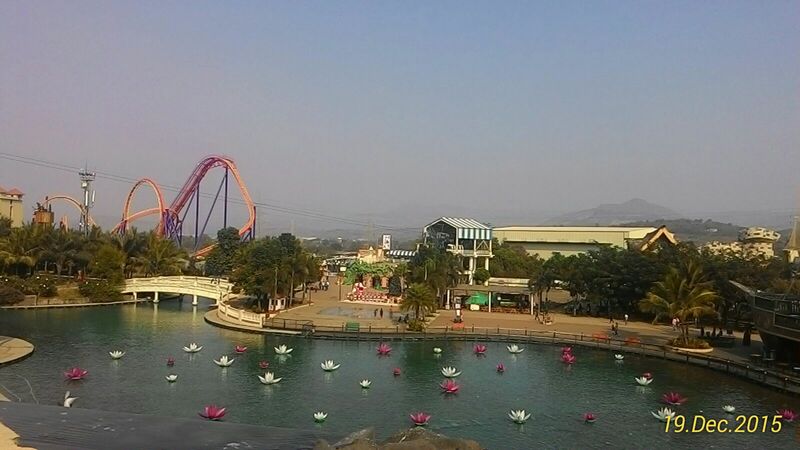 Thank you Adlabs Imagica or rather Fun-Magica for having us! 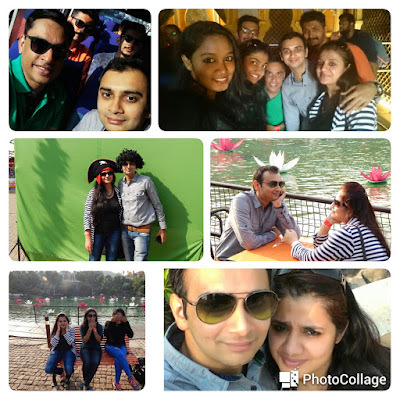 A Toast for beautiful and fun-filled memories! Great review, would surely attract people to the attraction. Lucky you, had the opportunity to get FAM with your HALF.